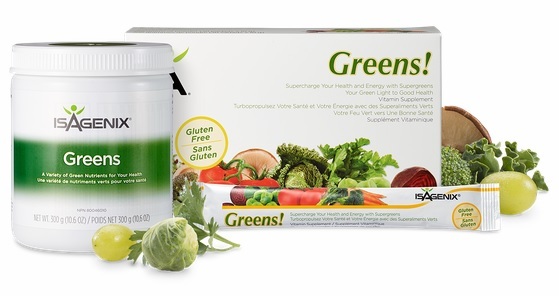 Isagenix Greens - Healthy Vegetables in Powder Form! A Huge Range of Antioxidant-Rich Ingredients! Isagenix Greens features healthy ingredients such chlorella, spirulina, ginkgo biloba leaf, green tea extract, grape seed extract, Siberian ginseng, milk thistle and more. For the full list, download the full list of ingredients here. Please note, these prices are for a canister of 30 servings. The box of 30 individual sachets is $56 retail / $42 wholesale. All first time orders have a 30 day product money back guarantee. View shipping rates and times. 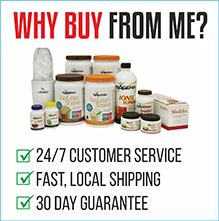 How Do I Buy Isagenix Greens in Canada? RECOMMENDED: Sign up and Save (CA$37 for a canister of 30 servings / CA$42 for a box of 30 individual sachets) — Sign up to the Isagenix autoship program to become eligible to have access to the cheapest wholesale prices. At the end of the checkout process you’ll be asked to set up your next month’s order. Autoship can be cancelled at any time, even after you take advantage of the cheaper prices on your first order! There are no locked in contracts of any sort. Plus, this gives you the opportunity to participate in the Isagenix business (this is 100% optional). Full Retail (CA$49.33 for a canister of 30 servings / CA$56 for a box of 30 individual sachets) — If you prefer not to sign up and take advantage of the lower pricing, you can purchase the products at full retail price. This is not recommended as you can cancel autoship at any time. Your first order with IsaAxcess is covered by a product money back guarantee within 30 days. If you’re not completely satisfied with your Isagenix Greens, send them back to Isagenix Canada for a refund! Clicking on the Buy Now button below will take you to our Isagenix Associate website. From there, you can select ‘Sign Up and Save’ to purchase on autoship, or ‘Buy Now’ to purchase at full retail. All orders are covered by the highest levels of online security and shipped securely by Isagenix from the Canadian distribution centre. Watch the short video below, download the Greens Product Information Sheet, or contact us and we’ll happily assist you. Add greens to ALL my shakes! I purchased the 30 Day Pack a few months ago after my friend recommended it. The pack itself is awesome, but I have since added a few more products like Isagenix Greens and the Eshots. Greens are amazing! So easy to get all my vitamins and nutrients in - I just add it to my shake!